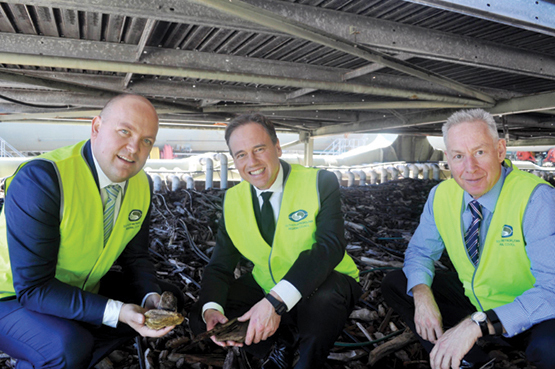 Federal Environment Minister the Hon Greg Hunt visited the Regional Resource Recovery Centreâ€™s Waste Composting Facility in Canning Vale on Wednesday the 11th of May. The Minster was joined by Matt Oâ€™Sullivan, candidate for Burt and Senator Linda Reynolds. The SMRCâ€™s Waste Composting Facility has a strong record of carbon emission reduction through the Greenhouse Friendly Program, the Carbon Farming Initiative and most recently, the Emission Reduction Fund. â€œWhat they are doing is everything we wanted from the Australian environment policy,â€ he said. â€œIt reduces 32,000 tonnes of emissions every year, has a contract of over $2 million with the emissions reduction fund and it is cleaning up landfillsâ€¦ that is a powerful trio of things.â€ Citing its green waste facility and waste composting facilities, Mr Hunt said it was a high standard nationally. â€œThere are some other very good examples of waste recycling, composting and mulching but this is best practiceâ€¦ it would be hard to find anybody who could lay claim to doing it better,â€ he said. â€œI have just seen the largest cooker and oven I have ever imagined and what that means in real terms is that they are producing mulch that is used on farms, reducing the need for water and most significantly, improving the productivity of our farmers,â€ he said. 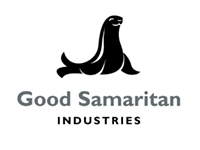 Good Sammy stores play a vital role in the WA community by retailing recycled goods and clothing through its 25 stores in metropolitan and regional Western Australia. This creates employment for people with disabilities in the retail stores themselves, and in support roles in donation collections and goods processing. The Good Sammy Mega Barn is open every Monday to Saturday from 10-4, at 33-35 Bannister Road, in Canning Vale. Their opening sale may be finished but their new prices are still awesome: Up to 1kg = $6 / kg, between 1-5 kgs = $5 / kg and over 5kgs only $4 / kg. Great bargains to be found, so grab your friends and make a day of it. The temporary collection day held at the City of Melville operations centre on Saturday, 14th of May was a HUGE success! 540 cars attended the day collecting 16,376kg of HHW, which is, on average about 30kg per car! Some materials of interest that were collected on the day was a chunk of lead metal, plus lead weights, elemental mercury, Schedule X Pesticides and 50-100g of uranium! It is really important that hazardous items of waste are never placed in your kerbside bins as they can harm our machines and our staff and can drive up the cost of processing your waste. To find your nearest drop off point for hazardous waste at any time, download the Recycle Right App from your App Store and use â€˜Find my nearestâ€™. To celebrate International Compost Awareness Week and the Waste Authorityâ€™s Compost in May, visitors to the Regional Resource Recovery Centre were eligible to enter a draw to win a cubic metre of compost thanks to the SMRCâ€™s compost partner Nutrarich. Weâ€™re pleased to announce that Robert of Rivervale, who visited with a group from St Augustineâ€™s School, is our lucky winner. Rob plans to spread the compost over his vege garden and the rest of his plants to add extra nutrients to the soil. Congratulations Rob and thanks for coming on a tour of the Regional Resource Recovery Centre! Green waste collections commence in the Town of East Fremantle on the 27th of June. Go to recycleright.wa.gov.au/ resource-recovery-calendars- 201516/ to find your collection area or call 9339 9339 for more information. 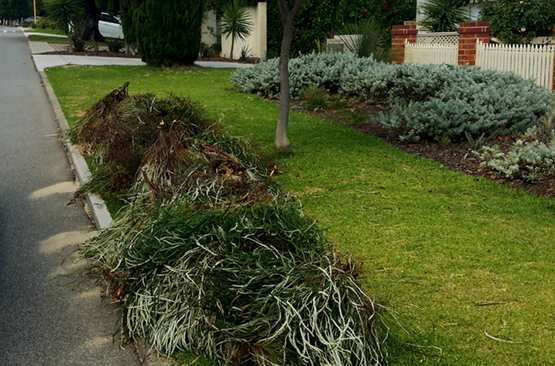 Green waste collections have commenced for City of Kwinana residents from the 30th of May through to the 13th of June. Go to recycleright.wa.gov.au/resource-recovery-calendars-201516/ to find your collection area or call 1300 867 166 for more information. Green waste collections commence for residents in Leeming, South Lake, Cockburn Central, Success, Hammond Park, Atwell and Aubin Grove from the 6th of June through to the 27th of June. 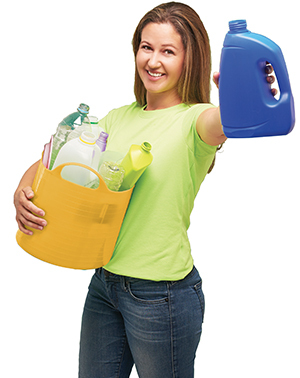 Go to recycleright.wa.gov.au/ resource-recovery-calendars- 201516/ to find your collection area or call 9411 3444 for more information. Green waste collections commence on the 6th of June for the suburbs of Bull Creek and Leeming. Go to recycleright.wa.gov.au/resource-recovery-calendars- 201516/ to find your collection area or call 9364 0666 for more information. There will be a special leaf collection due to this tree species dropping excessive amount of leaves. As the streets are lined with these trees, this will be completely separate to the normal Green Waste Verge Collections. Residents are advised to place leaves into 30 litre heavy duty garbage bags, leaving them on Council verge. The bags must be sealed and contain only leaf litter, no other contaminants. Please do not leave these bags out for any Green Waste Verge Collections. This service will be provided on Thursday 16 June 2016 and Thursday 21 July 2016. Rethink how you purchase your goods and the type of packaging it comes in. Reduce your plastic waste by buying refillable bottles and taking your own shopping bags with you. Reuse plastic containers and bottles for storage or craft projects. Recycle your plastics in your yellow-topped recycling bin, or returning soft plastics to the supermarket to be recycled in REDcycle bins. It really does matter which bin you put it in! Whilst the Regional Resource Recovery Centre employs state-of-the-art technology to recover waste and reduce the amount sent to landfill, what you put in your bins at home is the key to our success. Our amazing Waste Composting Facility takes the waste from your green-topped bin and turns it into a compost product that is able to be used to enrich soils and help plants grow. However, plastic and glass contaminate this compost, requiring intensive sifting and screening to be removed from the final product. Once the glass and plastic have been through the composting process it cannot be recovered and that we lose precious resources to landfill. Use compostable bin liners instead of plastic bags in your green-topped general waste bin. Look out for the compostable symbol when purchasing your bin liners. You can purchase Compost a pac liners in various sizes online from sourceseparationsystems.com.au/recycling-products/compost-a-pak.html and if you use the code â€˜Recycle Rightâ€™ you will receive a discount. Hazardous Items donâ€™t belong in either bin. When in doubt, consult the â€˜recycle rightâ€™ app for clarification. Available to download for FREE for Apple and Android devices, it is also accessible on your web browser at m.recycleright.wa.gov.au. The Southern Metropolitan Regional Council, in collaboration with Little Green Steps, hosted the first of a series of â€œReducing Waste Togetherâ€ workshops on May 3rd at the Regional Resource Recovery Centre. Twenty-one passionate educators spent the afternoon learning about the problems around waste, exploring what happens to waste at the RRRC and sharing the wonderful ways they teach their children how to reduce, reuse and recycle. Participants left with a plethora of resources to assist them with implementing waste wise practices in their schools and early learning centres. 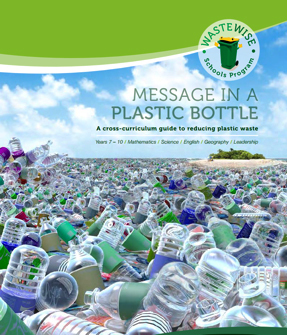 Waste Wise Schools invite Year 7 teachers in science, maths, geography and English as well as Principals and Year 7 coordinators to the Message in a plastic bottle workshop on 17 June 2016. The workshop provides you with everything you need to run an in-depth study on the topic of plastic in Year 7 science, maths, geography and English. â€œThe activities were easy to use and are strongly linked to the curriculum. They fit in well with preparations for NAPLAN. Students used data they collected in each learning area to write a persuasive speech about choosing tap water instead of bottled water. Teachers were surprised by how easy it was to collaborate.â€ Kylie Kingdon, Emmanuel Catholic College. This workshop is free and they offer teacher relief payments for two staff per school to attend. Starting Tuesday 17th May, Living Smart is a multi award winning behaviour change program, which runs over a period of seven weeks. The course provides participants with the skills and knowledge to take action in their own homes to improve their quality of life and reduce their environmental impact. The course is designed with the needs of participants in mind and includes topic such as Waste, Living Simply, Power, Water, Gardeningâ€¦ and more. This course will be facilitated by Shani Graham and Tim Darby, the most experienced facilitators in Australia. The course is principally funded by City of Melville and held at the sustainably designed Piney Lakes Environmental Education Centre. For more information and to book, visit http://livingsmart.org.au/whats-happening/courses-events/. Our readers are pretty good at recycling right and making sure the right rubbish goes in the right bin. However, itâ€™s just as important to make sure we buy recycled products, as this creates a demand for recycled materials and ensures that your recyclables will be reinvented as a new product. Look for products that tell you the percentage of recycled material used in the new product. There are several brands of toilet paper made from recycled office paper and all aluminium cans include some recycled content. Some plastic products are now labelled with an RPET symbol, which means it is made from recycled polyethylene terephthalate, meaning the product is made from recycled plastic bottles. Beyond your supermarket shop, there are many products being made from recycled materials, such as flooring, garden beds, kitty litter and even clothing! This month, Emma Watson stunned crowds at the Met Gala Ball by wearing a gown that was largely made from fibres woven from recycled plastics. 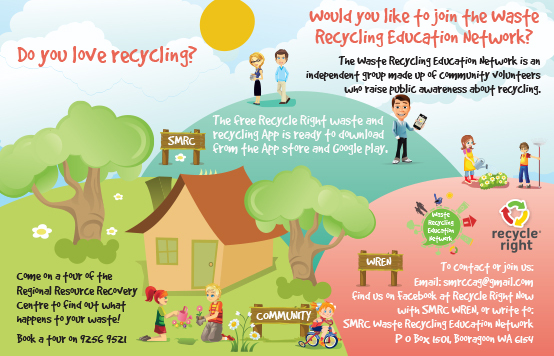 Would you like to join the Waste Recycling Education Network? If you are interested in waste and sustainability, educating the community and making a difference, the Waste Recycling Education Network needs you! All it takes is a few hours of your time to attend a meeting and assist with a community waste education project. Everyone is welcome to join. If youâ€™d like to organise a visit to find out what happens to your waste, call Emma on 9256 9528 or via email tours@smrc.com.au. To discuss your tour requirements, please contact Emma Baker on the contact details given above. Copyright Â© 2016 Southern Metropolitan Regional Council, All rights reserved.